In the early 1950s, Julius and Ethel Rosenberg were arrested on suspicion of leaking American secrets to the Soviet Union, convicted and sentenced to execution. A famous photo, taken moments after the guilty verdict, shows them passionately embracing in the back of a prison van. It’s that photo that provides the spark for The Rubenstein Kiss, James Phillips’ 2005 debut play, given a timely revival by Devil You Know Theatre. 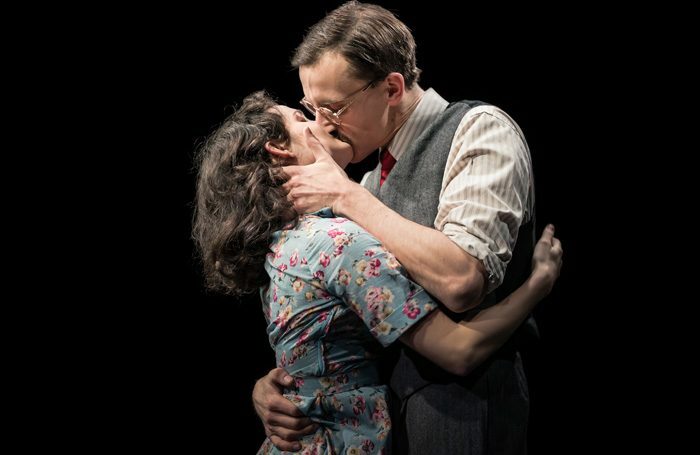 Phillips’ time-hopping play explores the ethics and actions of the Rosenbergs (renamed Jakob and Esther Rubenstein here), jumping between their lives in the 1940s and 1950s, and their son’s attempts to posthumously exonerate them in the 1970s. The play is, quite unashamedly, a homage to Arthur Miller. He’s namechecked several times, and the central theme – the essential battle between principles and personal desire, between light and dark – is lifted straight from the Miller playbook. It’s a good homage, though: Phillips often strays into overripe dialectic, bordering on melodrama – but then so did Miller. Joe Harmston’s sparsely staged, traverse production is slow and stately, lingering appropriately on kisses and clinches, and flipping slickly between time periods with sudden rushes of static. 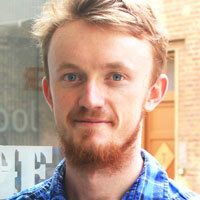 It’s impeccably acted as well, Henry Proffit supplying an earnest, erudite Jakob, and Ruby Bentall a passionate Esther. Dario Coates also impresses as their son, Matthew, fiery and feverish as he tries to clear their name. At over two and a half hours it’s overlong, but it’s an intimate, emotionally charged revival nonetheless.